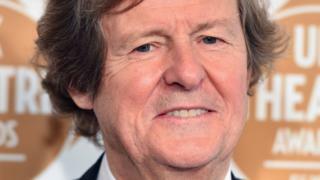 Women are better represented in film and theatre now, Sir David Hare has said, but change has come from societal pressure rather than the industry. The acclaimed playwright and director said there were more stories being told about women but the number of women behind the camera was “still tiny”. The industry was “running along behind” society, he said. Sir David, known for creating leading roles for women, wrote screenplays for The Hours, The Reader and Collateral. “I’ve been going on about women’s lives and about the importance of portraying women’s lives for 45 years now and nobody listened for the first 45 years,” he said. The US campaign group, Time’s Up, says only 4% of Hollywood’s biggest earning films from the past decade were directed by women. Speaking in February, British director Georgia Parris said it was a “pretty depressing figure” and part of the “age-old problem that women are hired on experience and men are hired on potential”. A movement, known as the #4percentchallenge, is now trying to inspire confidence in future movie-makers and Time’s Up is asking actors to commit to working with a female director in the next 12 months. In the UK, the percentage of women being cast in UK films (around 25%) has barely changed in more than 100 years, data released by the British Film Institute (BFI) in 2017 showed. However, the percentage of female crew members went up from 3% to 33% over the same period of time. But in very recent times, women’s involvement in film-making appears to be increasing, according to BFI data. In 2017, 21% of screenwriters of UK films were women, up from 16% the previous year. Among directors there was an upward trend too – from 13% in 2016 to 16% in 2017. And at the 2018 BFI Film Festival, a major London event, 38% of the films screened were directed by women. Ahead of the release of his new film, The White Crow, Sir David said: “I think there is undoubtedly a change in the theatre and in the cinema. “I don’t, I’m afraid, believe that it’s come from within the cinema and the theatre. The White Crow, written by Sir David and directed by Ralph Fiennes, is about the Russian ballet star Rudolf Nureyev’s defection to the West in 1961. It will be in cinemas from Friday.